Epic Pool Toys to Make Your Backyard Pool Awesome! - Fort Lauderdale Pool Service – Fall in Love with your pool again! Epic Pool Toys to Make Your Backyard Pool Awesome! To bring your backyard pool to life and make it the place where you entire family and your friends will want to hang out all the time, consider getting a few, carefully selected pool toys. Today, there are many different types of pool toys, ranging from the very simple and inexpensive to the highly sophisticated. When it comes to having fun around your pool, some things never change. People like to float on the water and they like to dive down to the bottom of the pool to retrieve things. 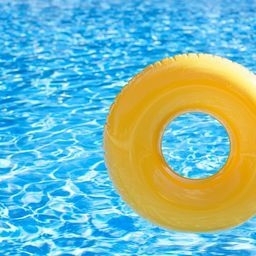 So the essential backyard pool toys every pool should have are floating air mattresses or inner tubes. These are simple in design — basically, just plastic shapes that inflated with air — but they can bring hours of fun and entertainment to children and adults alike. Inflatables can be found in practically every size and shape. Look for those that are made of thicker, durable vinyl rather than thin, cheap plastic. While there are many very inexpensive pool toys available at practically any discount store, you have to take into account how long they will last — or how quickly they will spring a leak and be worthless — into the low purchase price. Other essential pool toys are things that kids can retrieve from the bottom of the pool. These don’t have to be complicated: Some spare change works as well as anything. If you have children — especially little boys — they will love spending hours tossing objects like weighted toys, solid objects, or essentially anything that will sink into the pool, then diving down to retrieve it. They love competing with each other to see who can find and get the object first. This is actually great exercise as well as a lot of fun because it develops kids’ anaerobic strength. They have to hold their breath while diving into the water to get the toy. Having fun in your backyard doesn’t require a huge investment in pool toys. A few basic essentials are all you need to keep your family and friends entertained all summer long.